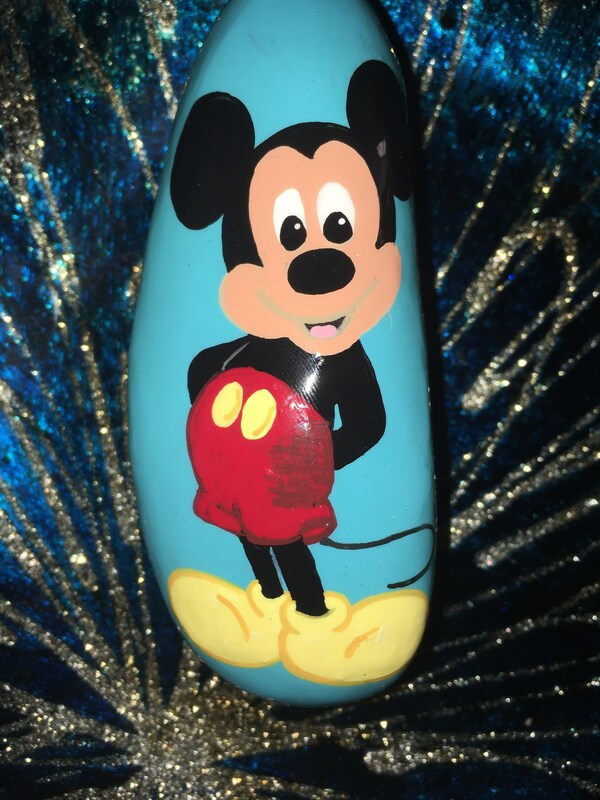 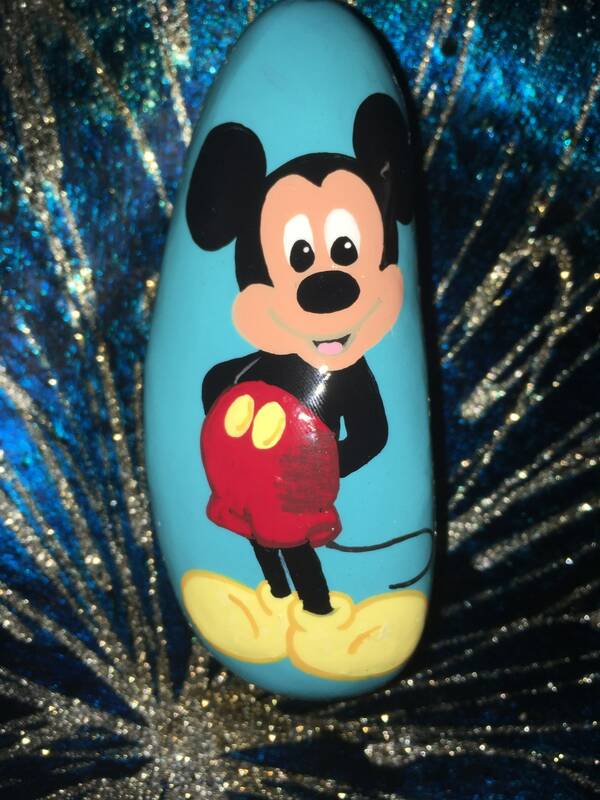 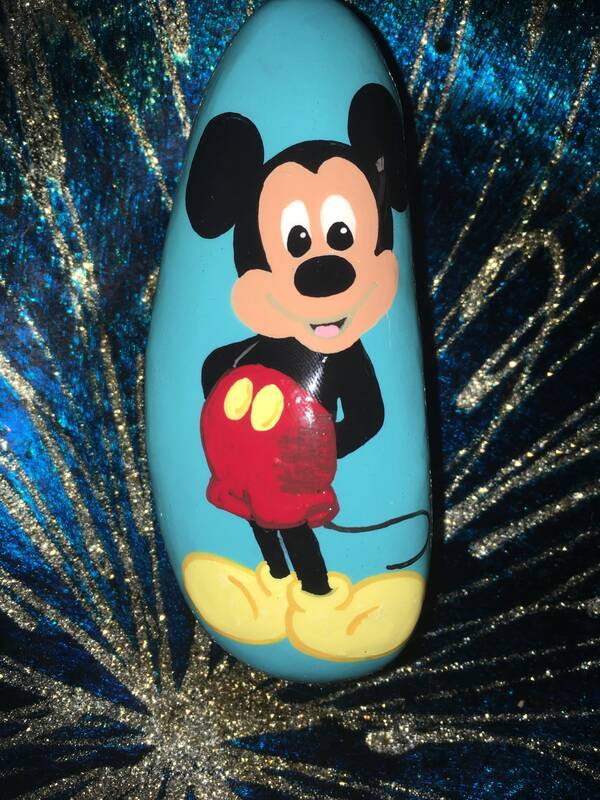 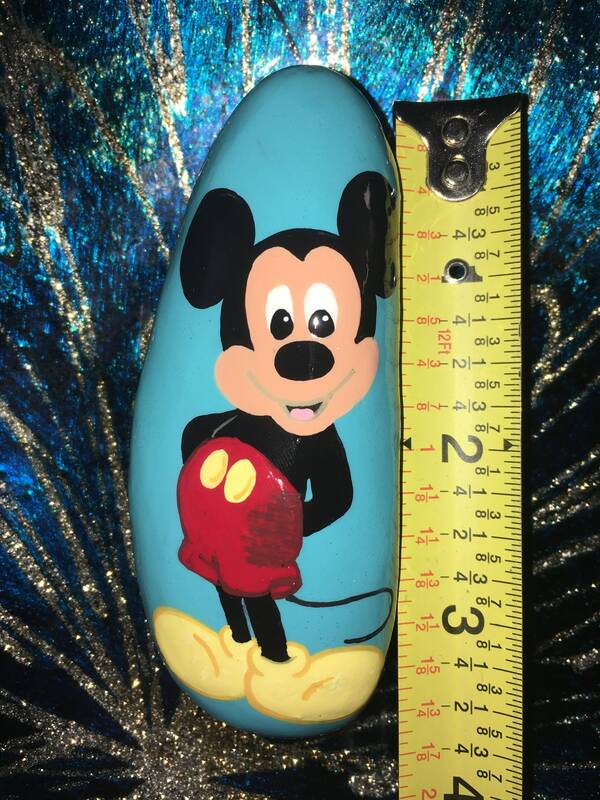 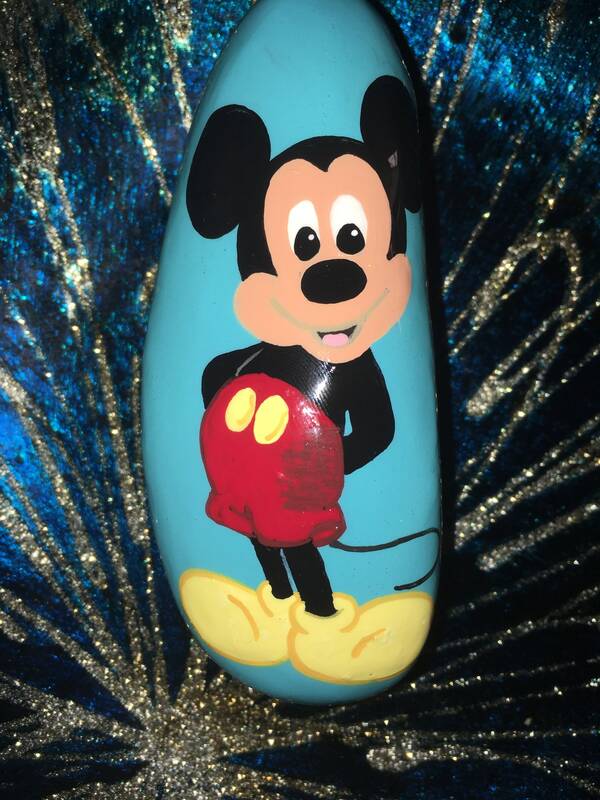 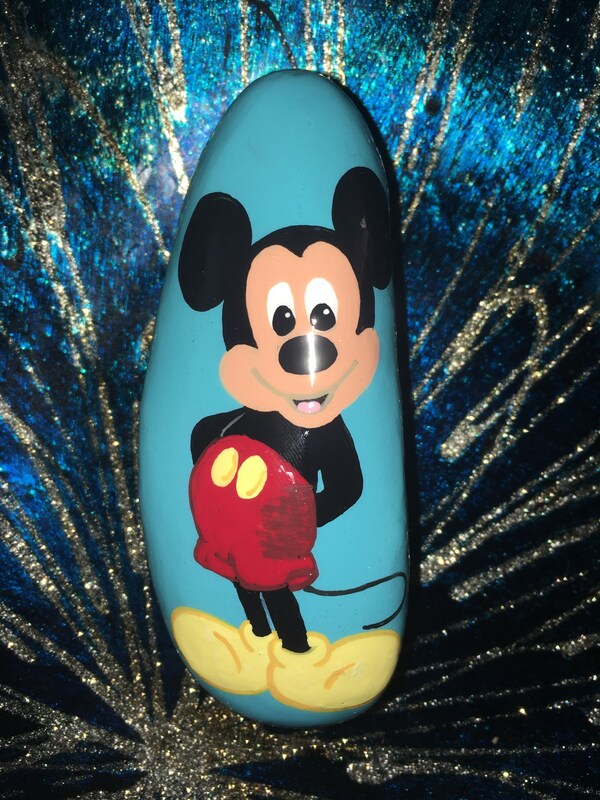 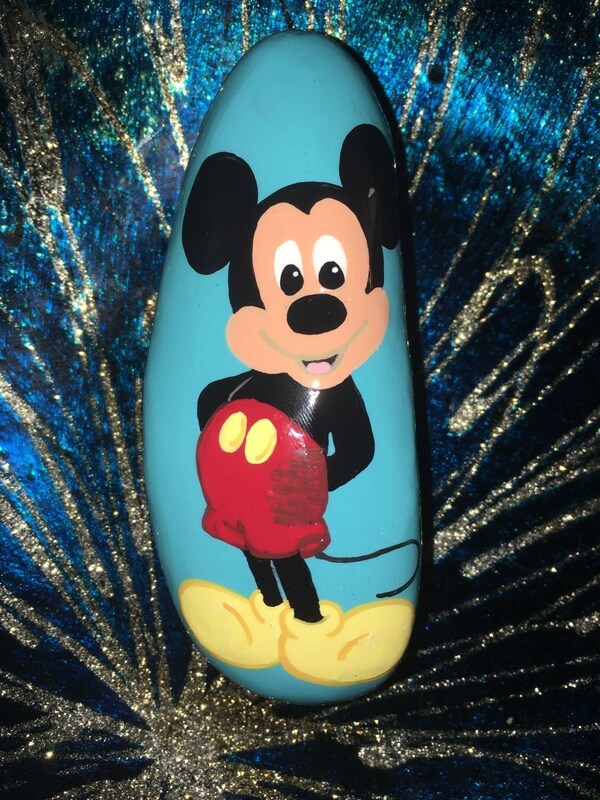 I wanted to paint a sweet Mickey rock and thought this one was perfect for it. 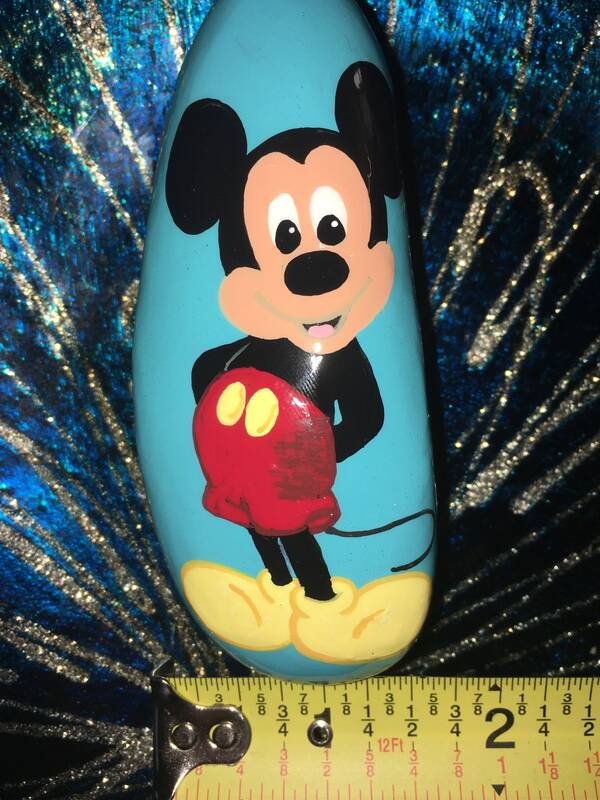 He has his hands behind his back in a sweet pose. 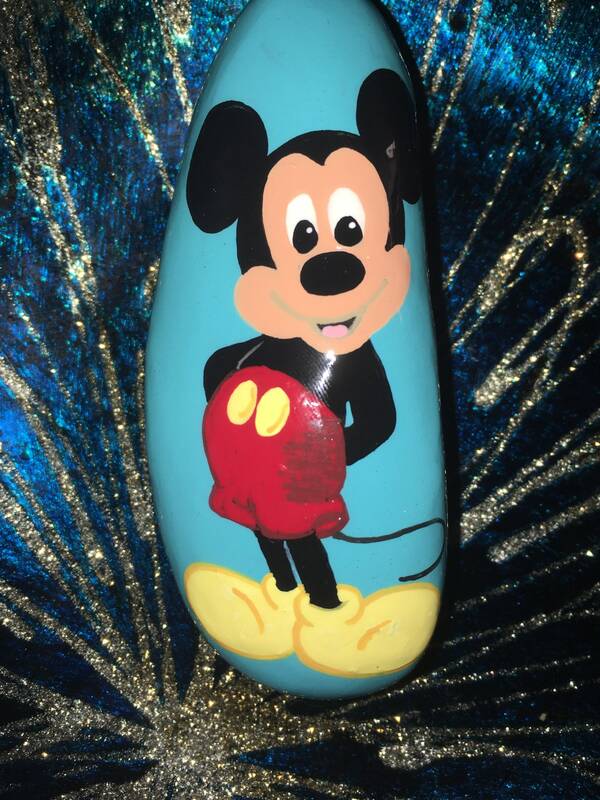 He’s been signed, dated and sealed with resin for all purpose use.